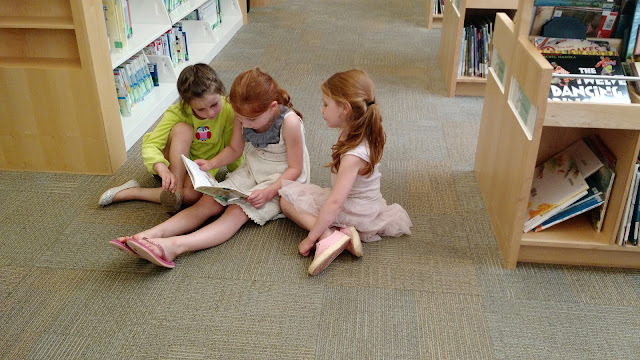 Sweet moment today, Ella reading a chapter book to Nora and a friend from preschool we ran into in the library. I'm so excited for her that she can read now! !